Just for the record, Larry Hankin did not steal the raisins in the “Seinfeld” episode. “Tom, the character I played, stole them. But I know why. Many have asked IF I stole the raisins. You’re the first to ask why. He stole them because he was a starving actor and hadn’t eaten since breakfast, the day before,” Hankin said. For those of you who don’t know what I’m talking about, Hankin starred as the on-screen version of Kramer in the “Seinfeld” series’ show within the show. He also starred in the hit series “Friends” as the downstairs neighbor, Mr. Heckles. I recently had the opportunity to talk to the 69-year-old New York native about his career as a character actor, a writer and filmmaker. From graduating from Syracuse University with a degree in Industrial Design to being nominated for an Oscar in the Live Action Short category for his short production, “Solly’s Diner,” in which he wrote, directed and starred in, Hankin reflects on the process of being in show business. Question - You’ve played many roles and, when on screen, people probably will say to themselves, “I’ve seen him before.” How is it like being known as a character actor in many TV shows and movies? Hankin - Basically it’s cool. You’re kinda sorta always recognized. People assume the best about you because, if they saw me on television, how bad can I be? I was in their living rooms or bedrooms and nothing was missing after I was gone. You have less explaining to do when identifying yourself. It’s amazing how much television people watch. Question - Do you think character actors get their respect from the A-list leading actors/actresses? Hankin - Morgan Freeman gets lots of respect and he came up the classic way, second banana for years. But, basically, yeah, sure, everybody is kind, cheerful, thrifty brave, clean reverent and respectful. There’s not that many real assholes in Hollywood, it’s just the ones who are, are Really Big Assholes. But people generally treat you like you treat them. Although I’ve never been to Cannes. Question - You’ve done everything from stage, to TV, to movies, to drama and to comedy. You’ve also done lots of behind the scenes work. What’s your favorite medium? Hankin - My favorite would be editing movies I’ve shot. I make film shorts and editing is writing with pictures that move. It’s right up there with painting when it comes to creative fun. And it’s all in color that moves. After that, writing, is my favorite. I’m writing a screenplay. Sometimes it’s hard work. Then acting in movies. I like the way things are worked out by a lot of people on a movie set. It’s great to be in a situation where a lot of people are focused on one idea or scene or problem. Yet each is doing something completely unique. Hanging lights, playing a part, doing a stunt, or focusing the camera, making movies is just one big problem-solving, moving circus - or one big interminably long and frustrating and boring job with lots of waiting around for no reason - movies are kind of a yin-yang thing with me. Making a movie that’s boring is the hardest thing you can do. Digging ditches is easier. But I haven’t made a boring movie in a while. I’ve learned to amuse myself better in my later years. Question - After doing so many character roles, do you find that you’re being typecasted for future parts or are there still opportunities for major roles in television and film? Hankin - For me, I was typecast in my youth. It got me parts because they knew what to do with me. “Oh, he looks like that, put him in that as this.” I’m kinda being re-typecast now as an older guy with a beard. So I’m writing a screenplay for myself about an older guy with a beard. I might as well cash in on the typecasting. 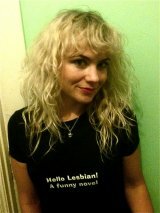 I now consider my typecast parts as just advertising for my feature. I think I’ve been acting too long to let acting bother me. I don’t do things that bother me for too long. Question - In Seinfeld, you played the on-screen Kramer in the show within the show. Why did you steal the raisins? Hankin - Many have asked IF I stole the raisins. You’re the first to ask why. First: I didn’t steal the raisins. Tom, the character I played, stole them. But I know why. He stole them because he was a starving actor and hadn’t eaten since breakfast, the day before. Question - How much of the script is seen on screen and how much is improvised by the actors? Are there any times it’s encouraged to improvise? Hankin - 90% is seen on screen as written - of the FINAL SHOOTING SCRIPT - there are many rewrites. Some improvising is done on a few movies. Most are shot according to the script. Improvising off of a written script is usually up to the director. 80% shoot it without improvising. Question - People not in the industry probably think actors have easy times landing roles after they’ve been in numerous projects. What’s the reality of landing parts in TV and film? Do you still go through grueling audition processes or do you find yourself, based on reputation, getting jobs on referral or name/face recognition? Hankin - Basically, very few actors don’t audition. Even some really big stars do. I’ve been surprised by the stars I’ve seen auditioning. They do it privately - not in a cattle call - but they meet with the director and read - sure. It’s not fun at all. And getting 1 out of 5 is considered good if you’re a character actor. So, you don’t get jobs more than you do get jobs, but no one’s come up with a better way to do it. But then, if you weren’t in, you were out. With no chance of an audition. I kinda just go with the flow. I look at it as chance to see who’s doing what, where, and with who. Question - What medium (TV, film, stage, etc.) is harder to perfect? Hankin - Whatever one you’re dealing with at the time. The one I have the least control of at the time. Usually it’s 35 millimeter movies because it’s so expensive - the hard part being rounding up the money and the length of time it takes. But helping tell stories for people to watch is fun, even when it’s challenging. Question - When it’s all said and done, what would you like for people to say about your life in show business? Hankin - The feature films he wrote and directed were his funniest work and they were all huge financial blockbusters. 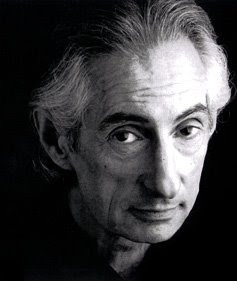 To learn more about Larry Hankin, visit him at: www.larryhankin.com.